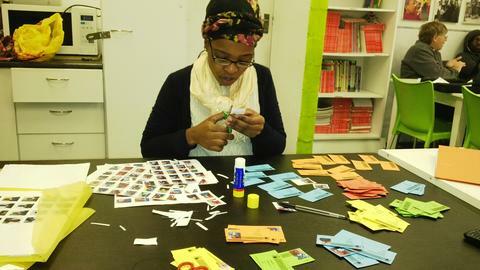 The Ebony Park Branch hosted one of the best winter schools ever this year! With a cohort of 190 learners, the branch was a hub of excitement right from the first day. Our tutors did not disappoint as they came through with such motivation and determination to usher in the education revolution that our communities are in real need of. On the first day, the 30th of June, we were proud to have one of our greatest role models, Khetha Dlamini as our guest speaker. All learners with 100% attendance in term 2 were awarded with special prizes and tutoring went underway straight after the opening ceremony. Tutoring was done differently this year as we decided to map out a programme of subjects that will be done throughout the 10 days. This was in an effort to make sure the learners cover all their subjects. The branch partnered with organisations such as LoveLife and Extreme arts and these organisation took over the afternoon sessions until 4pm. 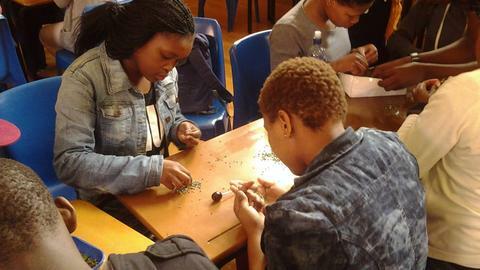 LoveLife equipped the learners with HIV/AIDS knowledge whilst Extreme Arts helped the learners explore their artistic talents. There was also a debate club led by our committed volunteers that helped learners with knowledge on what debate is and how they can be good debaters. The Foundation for Professional Development came through to conduct HIV/AIDS and Tuberculosis testing on the 2nd of July and this gave the learners an opportunity to be responsible for their own health. 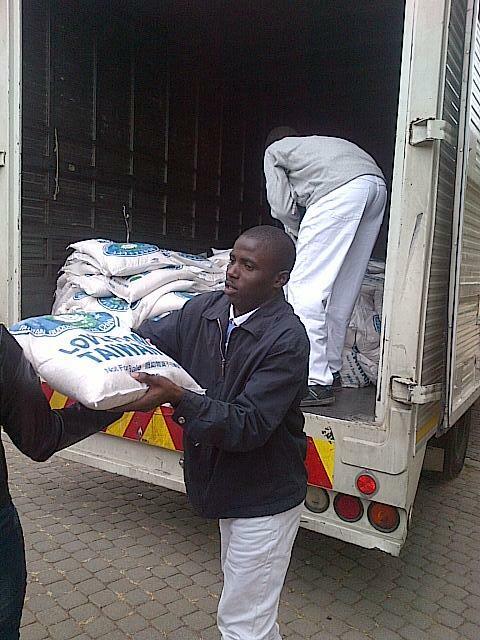 The week got better and better, with Tzu Chi Foundation, coming through to donate rice and stationery to our learners. 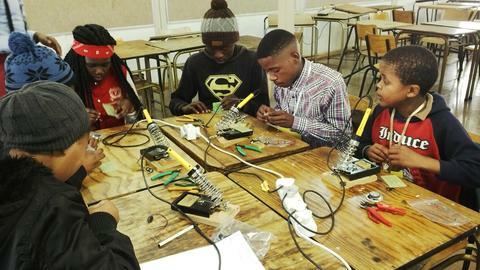 On the 11th of July,our last day of tutoring, ABI hosted all our learners at their plant in Clayville. 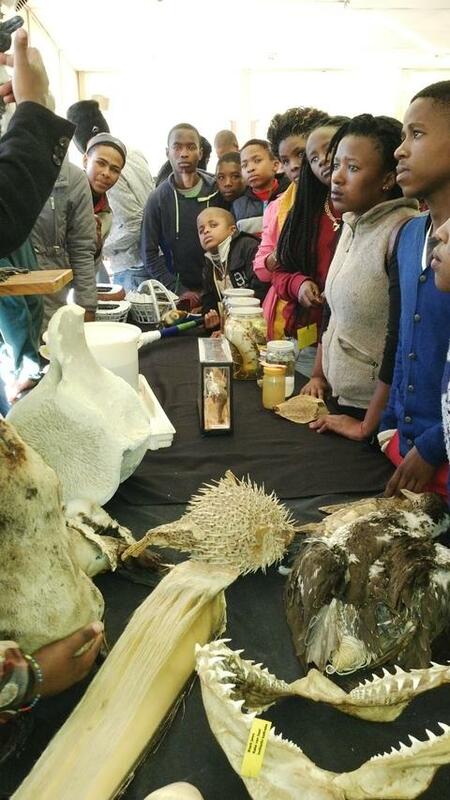 The learners enjoyed this excursion so much that they did not want to leave the ABI premises. Many young minds were inspired and many dreams took a giant leap towards their fulfillment. The most exciting thing is that our winter school can now be seen on a youtube channel (here) created by our media team. On the morning of Friday the 4th of July, the 5th day of our first ever annual winter school as the Mamelodi branch; was the day we took our learners and volunteers for an excursion at Freedom Park. The day started with the excited learners and tutors being ushered into the bus heading to Freedom Park. Upon arrival everyone received wrist bands for entrance to Freedom Park. A tour guide, by the name of Gift; was assigned to us for the day and addressed everyone and set out the basic rules that had to be followed during the tour. Freedom Park was established to capture human dignity, rights and freedom and reflects the sacrificial achievements of the nation. Learners were excited and willing to learn about their own history and understand the extent to which liberation was attained in South Africa. 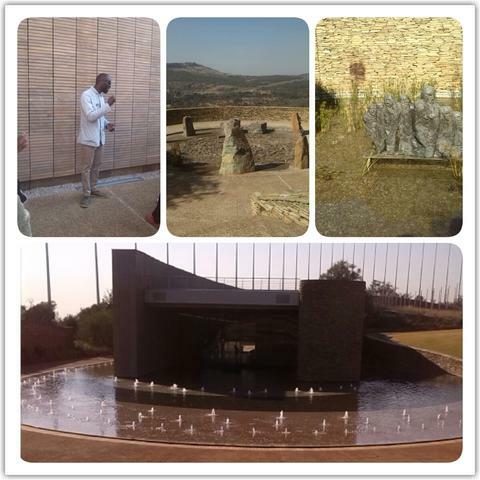 The tour started with the ikamvanites visiting S’ikhumbuto, one of the elements in the Freedom Park, which includes a Wall of Names as a remembrance of the fallen heroes of the struggle, an Amphitheatre, an Eternal flame, a Gallery of leaders and a Sanctuary. The next element that was visited was Moshate; which functions as an exhibition space for designs of the various kingdoms in the South Africa landscape. Learners then visited Mveledzo which is a spiral path, Uitspanplek a space which showed the view of the scenic Pretoria CBD area, which also overlooks the Voortrekker Monument and UNISA University. Amongst other wonderful elements the learners visited was Tiva, a large body of water, which symbolises peace, Sivivane which symbolises a resting place for those who sacrificed their lives in the struggle. The Sivivane includes a symbolic burial ground, which is surrounded by 11 boulders known as Leshaka; all these boulders were taken from all the 9 provinces around the country. What’s also included in Sivivane is a body of water at both entrances for baptism and drinking and Umlahlankosi trees. During the tour, learners asked questions and were intrigued by the diverse cultures and history that South Africa holds. 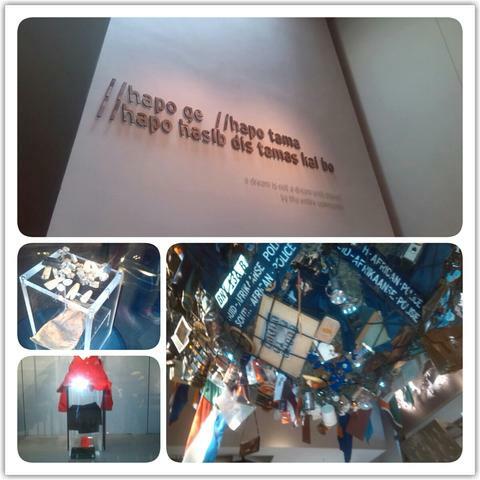 The highlight of the tour was when the ikamvanites visited IIhapo which told a story about the beginning of life in Africa and how it impacted the rest of the world and the Pan African archives. It was definitely a day that changed the learner’s outlook on being an African and all that this country had to overcome in order to be as privileged as it is today. One of our learners had this to say:”I will now be able to understand the history subject more in class because I visited Freedom Park. 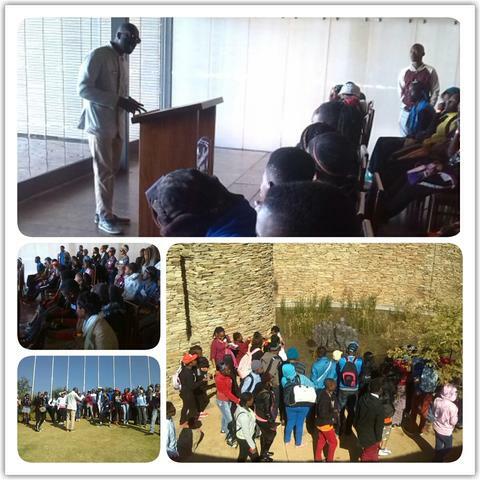 Thanks to IY for taking us to Freedom Park and to Freedom Park for the experience”- Grade 10 learner. From IkamvaYouth Mamelodi, we say thank you to Freedom Park for having us 🙂!!! 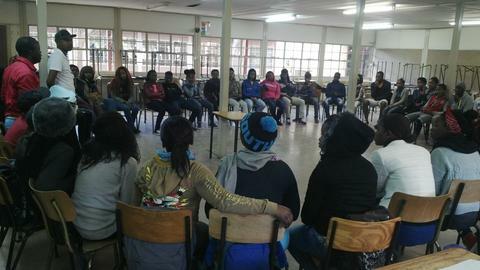 On the 30th June 2014 80 Masi learners and tutors met to launch what became an action packed two weeks of Winter School at False Bay College. At the very beginning of Winter School many learners were unsure of their expectations and were uneasy about what was lying ahead of them but needless to say, the first day got us all off to a brilliant start. The morning began with fun and games at assembly where learners where getting to know the tutors, staff and fellow ikamvanites a bit more in an attempt to build rapport and unity within the group. Walking around the room during these “getting-to-know-you” activities what was interesting to observe was how some of the tutors has so much in common with the learners and vise versa. This activity was certainly in incredible way of breaking the walls that may have existed between learners, tutors and staff. After the fun and games house rules were set by the learners. The purpose of these rules was to ensure that the two of Winter School brought forth all the desired outcomes in a fun and disciplined environment. After setting the rules, learners were taken on a tour of the campus as this would be their space for the next two weeks. After the tour, it was time to get the ball rolling with the purpose of Winter School; tutoring. Learners were divided into their different tutoring venues and assigned tutors based on their subject and grade. From the get go, Masi learner displayed a drive and zeal for learning that personifies a true iKamvanite. 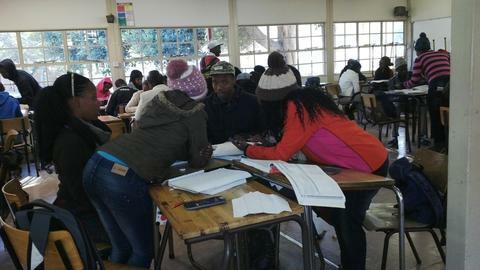 After all the hard work during tutoring, learners were treated to workshop in the afternnon ran by various organisation in and around the Cape Town. Organisations such as Iziko Museum , Fundza, Cape Leopard Trust, Love Life and the SA Jewish Museum are just some of the organisations that spent an afternoon with our learners empowering, training and ecnouraging the learners in different spheres of life. The two weeks of Winter School did not only present an opportunity for the learners to get intensive tutoring but it brought about an opportunity for the learners to get to know each other, the staff and tutors outside of their normal space of tutoring. The highlight of the entire two weeks was Friday 11 July where Masinites were crowned the Talent Showers winners for the very first time. 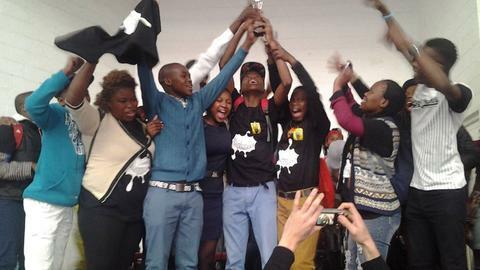 Well done to the Masinites for claiming their long awaited glory. At Ikamva I signed up for tutoring but when I got there I did not just became a tutor I also became a leader now I have leadership skills because at some point you have to lead the leaners on the right parts uplift their broken spirits and upgrade their way of thinking and the way that they see life. Some tutors are role models to the learners. It takes a special person to volunteer themselves in improving other people’s lives. I learnt to speak to people without yelling and hauling because sometimes it’s fine to say the truth but the most important thing is how you say it, because words do discourage people when not said in the right manner. I am Usiphe Ngwadla I am 22years old. 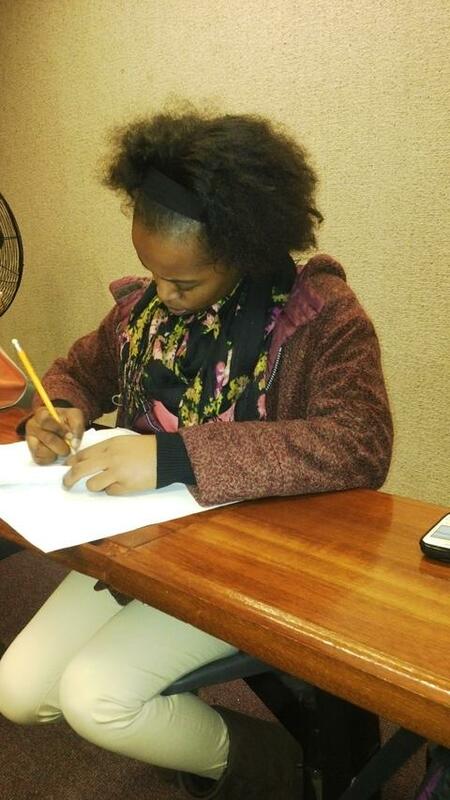 A tutor at IkamvaYouth Makhaza branch, I am one of the new I started at Ikamva on the 17th of February this year. I have found myself a new family not just any family but a loving family. With the help of Ikamva i have become this matured and self-driven person that doesn’t need to be pushed to do something. No one tells me to follow my dreams anymore I push myself to where I want to be. Out of nowhere I stopped wondering and started doing because sometimes action speaks louder than words, and thoughts without action are meaningless. All of a sudden I stopped doing things to impress people now I do things to impress me more, and it is all thanks to IkamvaYouth. I am moving forward because in 5 years’ time I don’t want cry over the times that i have waited trying to fix what I cannot fix, but I want to keep on trying no matter how many times I may fall, because it is not the times we have fallen that counts it the strategy that we’ll use to get up and carry on. It is the power inside us and the spirit in our hearts that counts. At Ikamva differences don’t matter all that matters is carrying on, because it is not the challenges that people face or their poor backgrounds that determines their future it is us and the decisions we make. 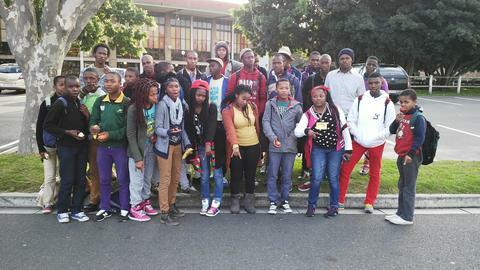 On Monday morning, 30 June, we descended with 102 excited learners to the Univerity of the Western Cape (UWC). 40 amazing tutors joined this wonderful event. The morning began with Zukile Keswa, branch coordinator, welcoming all the learners and tutors. Rules were created by everyone that formed as law for the duration of the WS. Every year IY hosts a Winter School (WS) for two weeks, which takes place in tertiary institutions in order to expose the learners from township schools to University life. The aim is to achieve intensive tutoring, focusing on all the major subjects that the learners are struggling with such that they can achieve the desired marks and improve their confidence in their academics. The days consisted of two sections; the morning sessions were for intensive tutoring. The tutored subjects were decided by the learners and tutors. We always strive to maintain a 1:5 ratio, meaning that a group of 5 learners get one tutor. The motives for doing so are for learners to be able to open up to the tutors’ and enable the tutors to identify the learners’ weak points promptly. Grade 11 learner shared his experience over the two weeks, “This was an exciting time for me as I could be comfortable with saying I do not understand my work without feeling ashamed. All the tutors were great and a huge thank you goes out to them”. The afternoon session was comprised of various workshops. The incredible Workshops took part in our WS this year include; Stellenbosch University, Save Our Seas, University of Cape Town (Health and Life skills department), Jewish Museum, Iziko Museum, Peers in Sexual Health, Unathi Basoni, Cape Leopard Trust, Ziyanda Tshoki (Debate Society), Safety Lab, Mxit Reach, Sonwabile Dwangu and Capitec Bank. These workshops were selected according to the career interest of learners, where they were able gain insight and knowledge regarding their chosen career paths. 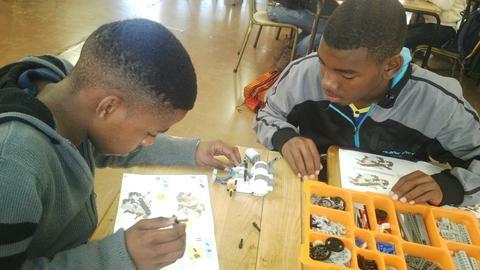 “The workshops are a necessity as new information and general life skills that our parents are sometimes shy to share with us were covered and taught to us.” One grade 10 learner said. The 2014 Winter School was a huge success, a cheerful big thank you to everyone that contributed to this remarkable event.